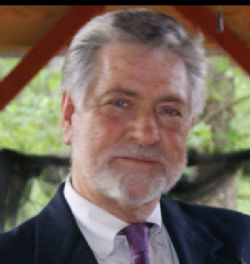 Jerry Wayne Hood, 71, of Roland went to be with the Lord October 8, 2018. He was born on June 4, 1947 in Belleville, Arkansas to Artie and Mildred Hood. Jerry lived by the rule of treating everyone like he wanted to be treated. He never meet a stranger, loved helping, being around people witnessing to others. He had been the owner of Jerry's Barber Shop in the Heights for the past 52 years. Jerry was a lay minister for the Arkansas Prison System, served on the board of Little Rock Compassion Center and worked on the FBI Citizens Academy. In lieu of flowers please send memorials in Jerry's name to Little Rock Compassion Center, 4210 Asher Ave., Little Rock. Click Play below to view the Video Memorial for Jerry Wayne Hood.